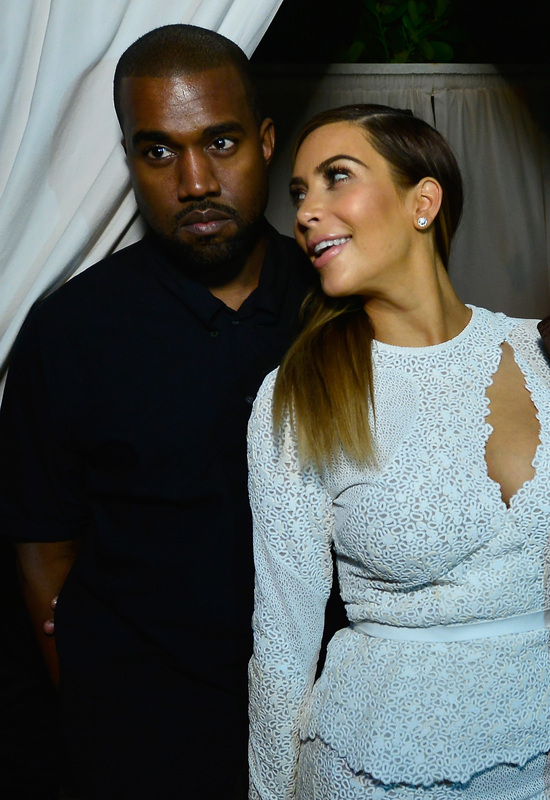 Don't worry about the Kimye wedding being a small quaint affair. Kim Kardashian and Kanye West might be getting married at the Palace of Versailles. Even if these two like to pretend sometimes that they want to be more private or not have their giant weddings televised like last time, they probably can't control themselves when it comes to excess and having a wedding at Versailles is the perfect example of that. "We can have a big wedding that's still private," she'll say. "Yeah, we can just up security and none of the pictures will get released. It'll be cool," he'll respond. And then the day after the wedding the entire world will have seen every dress Kim wore and whatever crazy Louis XVI inspired outfit Kanye found appropriate. If this news sounds familiar, it's because a couple months ago a similar report came out saying that Kimye were interested in having their wedding at Versailles and that their wedding would be all about Kanye since he's never been married. Kanye is pretty open about his love for Paris, so the location wouldn't really be a surprise. The Versailles rumors are coming up again because this past weekend, Kim and Kanye visited Paris together and Kim posted a photo to her Instagram of herself and Kanye standing in front of the palace. She captioned the picture, "Versailles after dark." Their wedding theme perhaps? Oooh a night wedding would be so different. So chic. So them. Also recently, Kim appeared on Ellen Jan. 17 and said that she and Kanye are planning to get married this summer. That's coming up pretty quickly, so even a couple of people who have an open budget and can pretty much get married anywhere they want, might want to start planning on a definitive spot for their wedding. Put two and two together, multiply it by their unequaled need for extravagance, and Kim and Kanye are very likely getting married at Versailles. Now we just have to hope that a Sofia Coppola-directed Marie Antoinette-style film is made of the ceremony for our viewing pleasure.